One last helpful blogging tip: You know the most about your company's solution. Use that unique insight to write your blogs. Give your readers helpful insider information that only your company knows. How do you know if your homepage is explaining your company well? Measure it using heat mapping tools and data found in Google Analytics. Heat mapping shows you where users are spending most of their time looking at the page. If you see most users focus on the page header and the page has a high bounce rate, the header could be confusing your audience. Knowing that the header is where most people look before they leave gives you the insight to run a test with another header to see if that impacts bounces. Tools like Clicky and Lucky Orange can help you with your website’s heat mapping. 2. Can visitors find the solution they need? Your website’s navigation needs to be efficient. If your top line navigation has 10 choices, each with a drop-down list of more options, people can get frustrated. Choice is overwhelming. The best sites guide users toward a goal. Limit navigation to a few choices and continue to provide users with a small number of options as they move from page to page. You’ll want to guide visitors through your solution by providing relevant choices based on the pages they are on, and ultimately guide them to a page with an option to reach out to your business. 3. Is your website easy on the eyes? People like good aesthetics and your website isn’t exempt. If your website looks like it’s from the early 2000s, people aren’t going to stick around. Your business might be the best option on the market, but if a competitor’s site looks better and is easier to understand at the jump, you’ll likely lose business opportunities. Check out the “Keys to Proper Web Design for Inbound” to help guide your site design efforts. Now that you have a nicely designed website that supports an excellent user experience and you’re cranking out blogs daily, you can boost your conversion rates by building trust with social proof. Just 3 percent of consumers consider salespeople and marketers to be trustworthy, which makes social proof important. Social proof is when other companies that appreciate your products or services share their experience through content. Social proof comes in many forms, such as case studies, testimonials, reviews, and even well-placed company logos on your website. Case studies aren’t simple. You’ll need to find time to interview a client for the piece of content. Generating other social proof is easy if you, again, put in the time. 1. Ask your clients for permission to place their logo on your website in an “Our Clients” section. Do this if you have name brand clients that visitors will immediately recognize. The thought here is that if the name brand clients work with your company, you’re a legitimate solution to their problem. It creates a sense of ease for visitors that they are in the right place. 2. Ask clients to review your business after an engagement. If a client is happy with your product or service, ask them for a review. Asking them in person will increase the likelihood that they’ll write one, but you can also ask via email with a link to your preferred review site. Sites like Google are great for local SEO and help build trust with users in search results. Other options could be industry-specific review sites such as Clutch. Reviews provide proof that your company is an excellent option and they give users the final push to fill out a contact form on your website. HubSpot says that because reviews are posted on third-party sites and from real users of your products, consumers see them as reliable sources of information. Customers find online reviews to be so helpful that 85 percent of consumers trust them as much as personal recommendations. 3. Pull quotes from your reviews to use as testimonials. Once you have a nice library of reviews, you can pull the best quotes and place them strategically on your website. If you want to take testimonials one step further, you can engage reviewers and ask if they’d be willing to restate their review on camera. According to Vidyard, 89 percent of marketers say video testimonials are the most effective content marketing tactic. To the potential customer who hasn’t heard of your company, you’ll appear legitimate right from the jump. These growth hacks are simple and obvious, but are you doing them? Every business leader is busy—it’s the leaders who take the time that end up succeeding, rather than those who don’t. Ready for a deeper dive into marketing tactics? 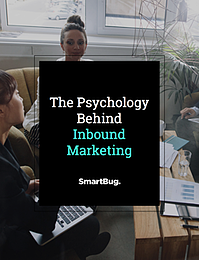 Download our free guide, The Psychology Behind Inbound Marketing, to discover the ways marketers can apply psychology to create successful inbound marketing campaigns. Tyler Smith Tyler is a marketing consultant at SmartBug Media and inbound marketing fanatic. He recognizes how critical an established content process is to the successful growth of any company's online presence and lead generation. 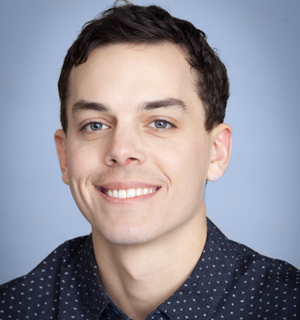 Tyler excels in using the digital and inbound marketing methods that make sense for each unique business to grow their customer base. Read more articles by Tyler Smith.